TWO BAIRAVAAS TO CLASH FOR THIS PONGAL? The shooting of director P.Vasu's Shivalinga, starring Raghava Lawrence and Ritika Singh in lead roles, started around July 2016 with a formal pooja. Being a horror thriller, Shivalinga is an official remake of Vasu's earlier 2016 Kannada film of the same title. Sources suggest that 80 - 85 % of the shoot is done and the makers are planning to release the film for Pongal 2017. 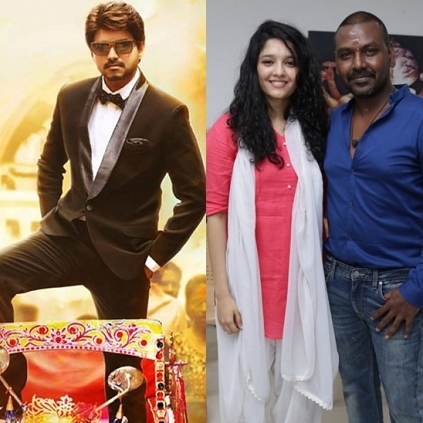 If this happens to be true, it would be interesting to see a Raghava Lawrence's film releasing along with Vijay's Bairavaa, as both will be entertainment guaranteed films. However, we have to wait for an official announcement from the Shivalinga team. People looking for online information on Bairavaa, Raghava Lawrence, Shivalinga will find this news story useful.